The root of the DA’s problem is that its position on race is as “clear as mud” in a country where race is a very important part of South Africans’ identity and discourse, he said. Furthermore, McKaiser said DA politicians have conflicting views on policies regarding Black Economic Empowerment (BEE). The DA needs to buy into the social construction of race in SA and buy into BEE, he said. Brown pointed to the strategic political blunders of opposition parties since 1994 and said she believes opposition parties have failed to be left wing. 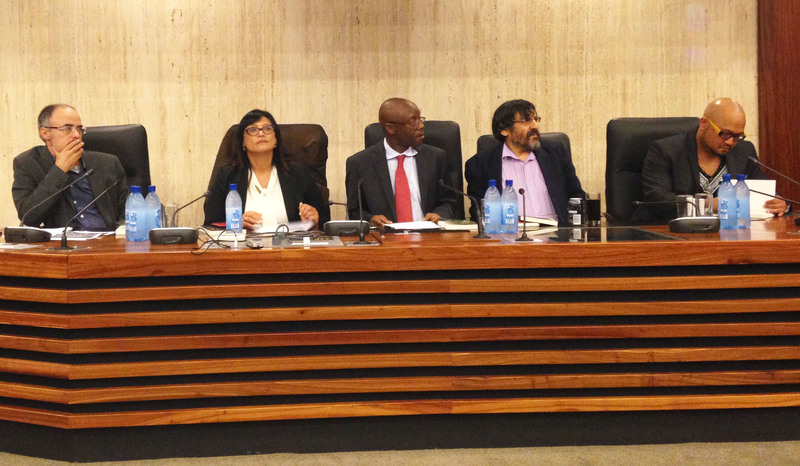 She argued that opposition parties make the mistake of using the ANC’s analysis and policies to oppose it, and instead form “pale imitations of the ANC”. For Brown, the ANC understood South Africa more than any other party. Friedman continued next with the sentiment that SA did not yet have a significant left wing party. He said if SA were to have a left wing party it would be formed out of a trade union, more specifically, out of National Union of Metalworkers of South Africa (Numsa). “70% of the population remains unorganised, excluded and voiceless despite having a vote.” A left wing party needs an agenda whereby they attempt to organise these communities, and pay heed to their lived experiences and concerns, said Friedman. He said the decision to merge would have left them with fewer votes than they originally had. This had subsequentially left Agang lacking credibility. Despite the appointment of its first black vice chancellor, the University of the Free State (UFS) still gets slammed with allegations of racism. In 2009 when Professor Jonathan Jansen was appointed as the first black vice chancellor of UFS, hopes were high that this could be the change the university needed to fight back against racist claims. All facts point to Jansen having made in-roads, despite the slamming he is now receiving from the student movement. A News24 article reported that Jansen had doubts about whether the incident was indeed racist, even though the accused called the victims “kaffirs” and then drove off. The move was controversial with some terming it a brave gesture of reconciliation and others warning it sent the wrong message to racists. Since the incident, Jansen has been blamed for adopting too reconciliatory an approach. Another ongoing example of racial profiling at UFS is their residence segregation. It appears that there are still many residences which give white students preference. With only 20% of UFS students being accommodated at the institution’s residences it is hard enough finding a spot if you’re white, let alone black. UFS has its form of a transformation office too, the Institute for Reconciliation and Social Justice, an institute made for research and discussion among specialists, international students and politicians. The general student body apparently can go to the Human Rights desk. This desk was not available for three days. The co-ordinator, Breggie Hofman Wits Vuvuzela was informed, was out of town and the second in charge “had a crisis”. Students will just have to save those reports of racism for later. 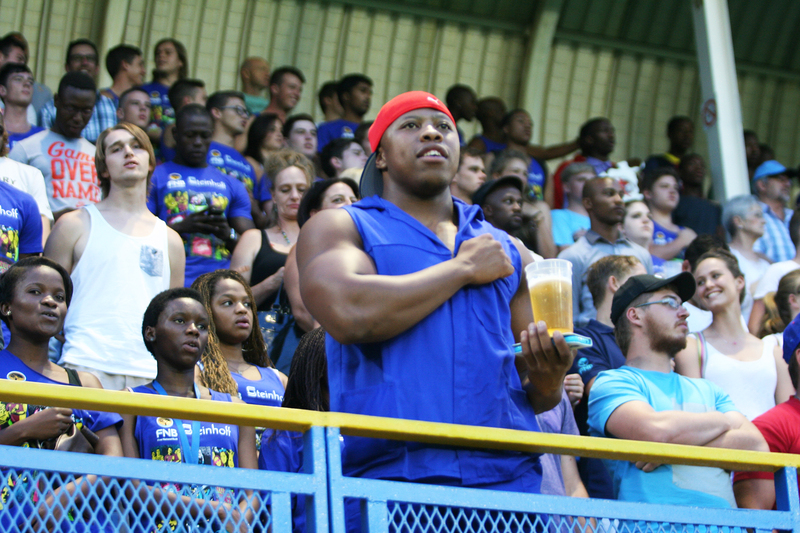 Wits Vuvuzela: STORIFY: UFS racist attack: Little faith in Jansen, February 25, 2014. Location, cost and reputation, what more could you ask for? The second oldest bar in Johannesburg, Kitchener’s Carvery Bar, is a golden oldie, right in the heart of Braamfontein, especially convenient for Witsies. Their menu has a little bit of everything, serving breakfast, lunch and dinner. According to the manager, the American Burger with a slice of cheese is the most ordered item on the menu, going for R48. The party-goers favourite would have to be the chip ’n dip which is a plate of slap chips covered in any sauce of your choice for R35 – great for lining the stomach before (or after ) a few too many beers. The sauces you can chose from are mushroom, pepper, cheese, garlic, jalapeño, green pepper, Mexican, chakalaka or roquefort. Depending on who you ask, the perceptions on prices vary, but the consensus seems to be that the meals are value for money, but that drinks prices on the other hand are on the steeper side of things. 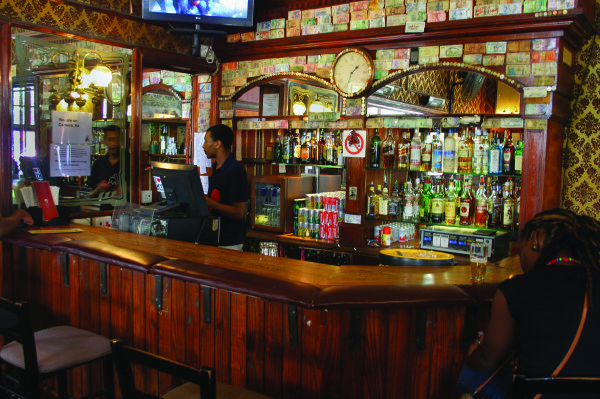 Located on the corner of Juta and De Beer streets in Braamfontein, Kitchener’s endorses a local craft beer called Ace’s, a Mitchell’s Brewery lager. A pint of beer goes for R30 whilst a Black Label dumpie is R21. Spirits prices start from R14 a shot and a small can of coke is R14 as well. On Saturdays, Kitchener’s fills up with Jozi locals and foreigners alike selling second-hand clothing and accessories in the court area. There are two bars and a carpeted dance floor that has been worn out from years of stomping and swaying. What can R100 get you at Kitchener’s? An American burger with cheese for R48, an Ace’s draft and depending on which night you go, R20 cover charge for nights of performances. All of this adds up to R98. I come from Cape Town, a city in South Africa, but really, its own little country. The Republic of Cape Town moves to its own rhythm. It nonchalantly sways with the Atlantic tide and pumps to the beat of the south-eastern wind. It’s a giant film set, picturesque, landscaped and any other slushy adjective you can think of equivalent to a scene out of a Jane Austin novel. Capetonians LOVE getting involved in any public petition such as, let’s say, bringing back doggy water bowls at the Corner Café because their Maltese poodle is so parched after a long walk on the promenade. Discussions on e-tolls or the upcoming elections don’t draw the same passion as a thirsty shitzu. For an aspiring journalist, I had to get off this one lane avenue and onto the highway. There is a certain swag about this place, like a large thug smoking his cigar. People don’t mess around here, they know what they want and where they are going and make no apologies for their ambitious spirit. Compared to Cape Town, Joburg is a difficult city to live in. People talk fast and loud. They cash cheques, break necks and drive angry. Jozi hardened me up. It’s given me perspective and relinquished my need for everyday comforts and vanities – something Capetonians know far too much about. I love the rawness and dirtiness of the Joburg city. It seems drenched in memories and history. Joburg makes me feel like anything is possible and that being here instantly connects me to the rest of the world and everyone in it. Cape Town to me will always be the Mother Land, my mothers’ land. But Joburg is the man in my life who gives me butterflies and fireworks – my lover, who encourages me to be crazy, to push myself and to explore. South Africans have until 5pm tonight to register to vote for the 2014 national general elections. It is still unclear though whether the Independent Electoral Commission (IEC) will see the number of registered voters they were aiming for. Wits Vuvuzela was on main campus today asking students if they had registered to vote for the upcoming elections. Ashleigh Kelly is a BA Drama student who strongly believes that it is important to vote but said she identified with people who opted not to vote. “Not wanting to vote comes from the fact that we don’t know who to vote for. Democratic parties haven’t, especially with the born-frees, given us enough reason to trust their party,” she said. Sitting next to her on the brick wall outside the Wits Theatre, Kelly Heckstein, a BA Performance and Visual Arts student, said she is registered to vote and plans on voting. Born-frees (the term used to describe people born in democratic South Africa), make up 25% of all registered voters. Voting holds a certain responsibility and this figure could make a substantial difference to electoral outcomes. But it is unclear if those of the 25% who have registered will actually cast their vote. BA student, Kenny said he was registered to vote but does not plan on voting as he has no interest in politics. On 7 May South Africans will line up at the voting polls to make their mark. Born-frees will cast their votes for the first time making this election a momentous one in the history of the country. Along with the multitude of things Minty has on his plate this year, he plans to publish a motivational book, Empire by March. Let’s watch this space. Wits Vuvuzela. Just EFF’ing around? July 19, 2013. Wits Vuvuzela. Youth look for hope in Agang. June 22, 2013. South Africa is stuck in a space where women politicians are the target for unfair gender-based criticism and humiliation. This was the subject of a discussion at Wiser on Thursday called“The trouble of being a female in politics” with a panel composed of Rebecca Davis from the Daily Maverick, Eusebius McKaiser from Power FM and journalist and Wiser fellow Khadija Patel. Davis wrote an article for Daily Maverick last week on the special problems for women in politics. The article, which caused wide debate, addressed the way the South African media and society as a whole dealt with the merger between the Democratic Alliance (DA) and Agang and their respective female leaders, Helen Zille and Mamphela Ramphele. The press conference was marked with a kiss between Zille and Ramphele, demonstrating their long friendship. But the panelists pointed out that the kiss soon became a meme, and was compared to acts of lesbianism and sexual provocation. The merger soon failed but Davis noted that criticism of Zille and Ramphele made hay of the two leaders being women. 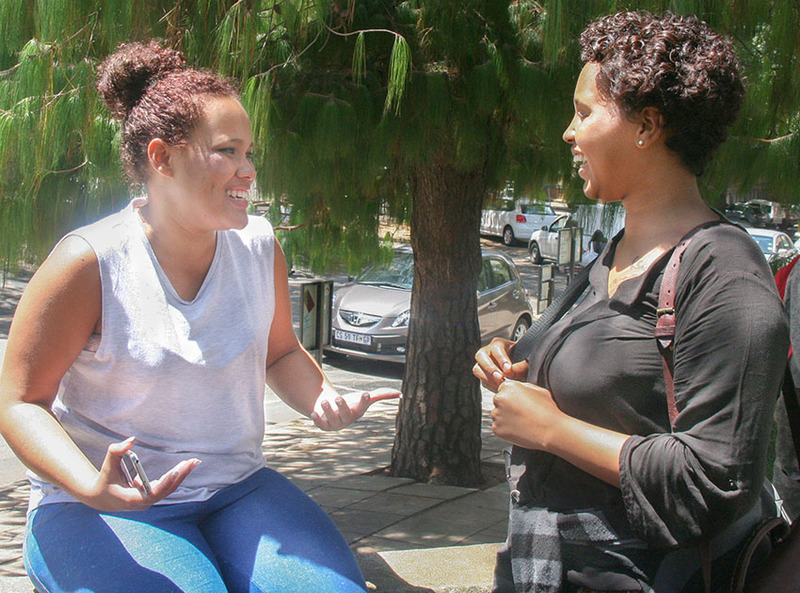 “This suggests that there is an illegitimacy to women owning the public space in South Africa,” said Davis. Both the DA and Agang have also been criticized for being too “top heavy” with female leadership. However, Davis said a political party with an all-male leadership is never recognized for its “weirdness” or criticized for being “too masculine”. McKaiser believes that South African politics does not have a problem with a lack of female representation. He argues some of the best performing politicians are female, a fact that is often overlooked. McKaiser uses African Union chairperson Nkosazana Dlamini-Zuma as an example of a woman succeeding in politics. But McKaiser adds that she has yet to make a public mistake and therefore has been spared gendered criticism. An example of this would be the press referring to Ramphele as “gogo”, a term which helped describe her as an old and confused woman, when she is actually younger than President Jacob Zuma. The fact that he is old is seen as a political advantage and an indicator of accumulated wisdom instead of senility, Patel said. The manager of the Wits rugby club, Andy Royle, is worried about the lack of experienced players in the team and is concerned it will throw them off for this year’s Varsity Cup. The drop in experienced students came as a surprise after eight failed to qualify academically, said sports officer Yvonne Swanepoel. As per a Wits ruling, out of these eight, only three can be chosen to play as non students for the University, making the picking box only 25 players full, with 13 of these playing for the first time for Varsity Cup. “In the beginning of the year we were quite healthy but then when a further two didn’t make it we were completely thrown off in preparation for the season,” said Royle. In terms of experience and combinations, the squad is lacking in preparation and “can’t go out on the field and expect to get great results”, said Royle. Tuks thrashed Wits on Monday night 53-8. Royle said “the guys know what needs to be done and how they can improve and will keep fighting in every match of the season”. Although the team has not been practising together for long, Royle feels it is still better than last year’s team and can only improve from here on. The academic requirement for rugby players stands at a total of 48 academic points. Any less than this does not necessarily go against Varsity Cup rules but Wits would not let them play. Wits allocate points to all subjects. Dependent on the marks received, a certain amount of points will be given. For example: the subject Marketing may allocate X number of points for a student who got an A symbol, then X number for a B symbol and so on, according to Estelle Nobin, deputy registrar from the School of Commerce, Law and Management. Wits Vuvuzela. Wits Varsity Cup sorrows. Febuary 11, 2014. Wits Vuvuzela. How to back your boytjies. Febuary 12, 2014. Wits walked away empty handed at home after a crushing 53-8 loss against UP-Tuks, (University of Pretoria), on Monday night. It was a disappointing loss as Wits struggled to establish themselves in a match reminiscent of the club’s poor performance in last year’s competition. The team finished last on the log in the 2013 season after failing to win a single match. Wits started off on a high note, scoring the first try of the match within the first five minutes, thanks to scrumhalf, Matt Torrence. 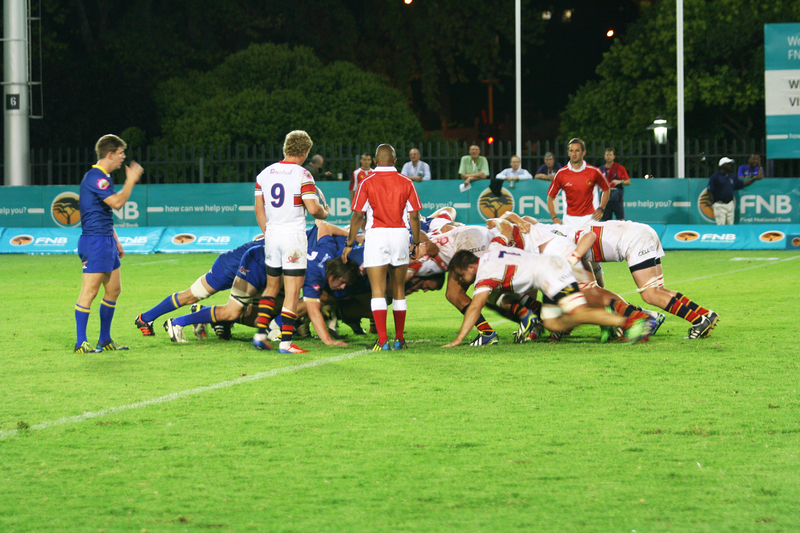 Tuks equalised two minutes later with a try by Wiaan Liebenberg. Former junior Springbok, Dries Swanepoel put Tuks in the lead with another try within minutes of the first. Missing the second conversion, the score stood at 8-13 to Tuks, 15 minutes into the game. Wits clearly lacked discipline and made some silly mistakes, handing over penalties and helping Tuks gain ground towards the try line where Swanepoel scored his second try of the match plus a cleared conversion. At half-time Tuks lead with 21-8. At half-time, the filled-to-capacity Wits Rugby Stadium were entertained by the Wits cheerleaders who now boast two male members. During the second half, Wits upped their defence preventing Tuks from scoring as they made a playfor the close to the try line. At almost an hour onto the game, Tuks managed to push through with Swanepoel scoring his third try for his team, leading 29-8 after a successful conversion. 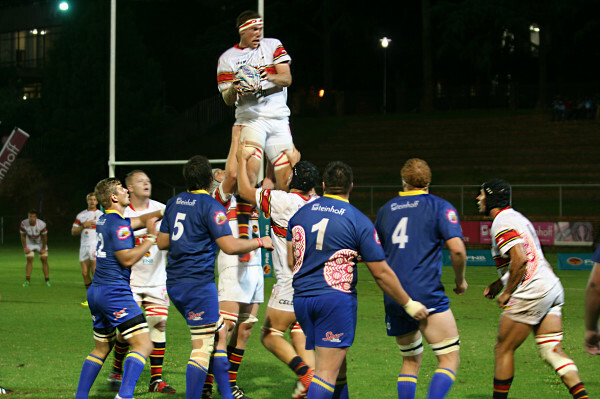 Tuks’ Swanepoel received a yellow card for a high tackle on fly half, Ashlon Davids. However, the officials seemed to have made a mess of things as Tuks continued with a 15 man team. A further three tries were scored by Tuks captain ,Reniel Hugo followed by wing, Jade Stighling and replacement for Swanepoel, Leneve Damens scored the last try of the night, finalizing the scoreboard at 52-8. Wits coach, Andy Royle went into the game with only five members from last years’ final Varsity Cup match against UCT. A number of players did not meet Wits’ academic requirements and therefore have restrictions on their playing time. 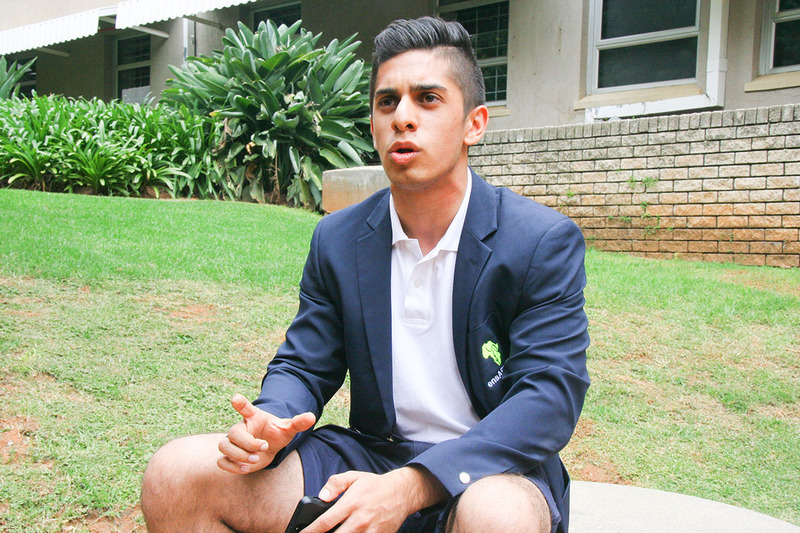 Royle was hoping his team would make a comeback after last year, but the lack of experienced players in the Wits side is going to make things tricky for the rest of the season. Freshers enjoyed the annual bash arranged by the Wits SRC. Photo: Caro Malherbe. The West Campus postgraduate parking lot was transformed into the ultimate party venue on Friday night as the annual Fresher’s Bash took place under the auspices of the Wits SRC (Students’ Representative Council). A massive stage, beer stand and food stalls greeted first years who arrived dressed for a night of celebration. The bash normally marks the end of the orientation period for new students as they head into the academic programme which starts on Monday. The event was meant to kick off at 6pm, but this was delayed due to a few last minute hitches. One of the alcohol delivery vans only arrived at 7:30pm, leaving hordes of party-goers waiting outside the closed gates. However, as soon as the gates were opened they stormed the stage area and the delay was quickly forgotten. A few of the local DJ acts that lit up the stage was AKA, DJ Doctor Malinga, Major League, DJ Naves, Euphonic, DJ Moflava and DJ SPHEctacular from MetroFM. Porchia Wilson ‏(@djpopzeecurlz) said, “#FreshersBash off the chains”. 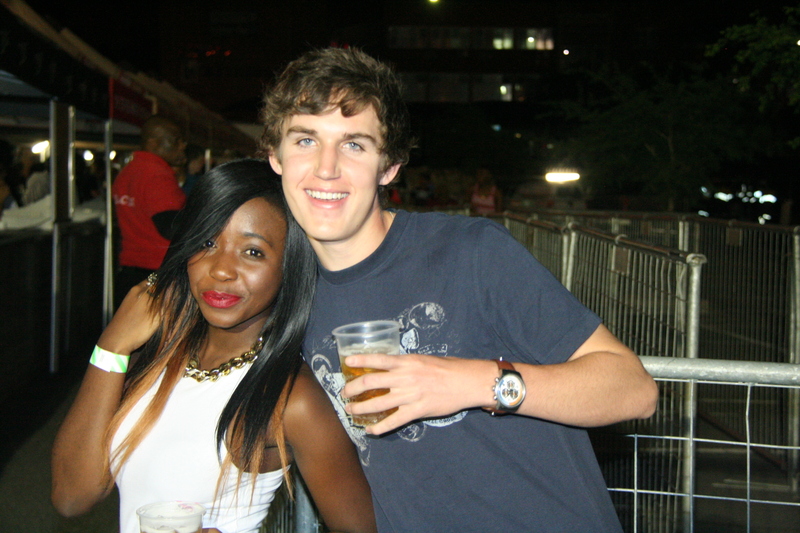 The party went on well into the early hours of the morning with Wits buses circulating until 2.45 am. Emotions are at an all time high, tempers are flaring and stress levels are increasing by the day. It’s crunch time for every student in South Africa, finishing off a year of studies and although some might be happy that it’s coming to an end and December is just around the corner, others are sad to be leaving and to be handing over the conch to the next bunch. Team Vuvu is made up of 17 students who have become so close to each other that sharing food, fights and bodily gases has become an everyday norm. We have become a family. Like every family, ours comes with problems, metaphorical divorces, abortions, marriages and births. We’ve been through it all. This last paper was not compulsory for us but Team Vuvu decided we just couldn’t leave our faithful fans hanging high and dry without one more edition to wet the holiday appetite. It has been a busy year to say the least. If we were not knee deep in issues of sexual harassment, we were quarrelling with the SRC, the PYA, the legal office and even the Vice Chancellor. But after the tears had dried, the fists had dropped and the ink had settled nicely onto the pages, they all became part of the family too. Our message, dear reader, is that whatever your experience has been this year, whoever you loved, hated, beat up or built up, we hope those experiences and people are ones that have changed you for the better, expanded your mind and helped you grow. In closing this chapter in life you are inclined to reflect and wonder if those New Years’ resolutions were actually accomplished. Looking back we would like to think that this years’ Team Vuvu made some kind of mark at Wits and helped improve things on campus. Well, we did bag a Vice Chancellor’s team award for transformation. Apart from the award we look back at 2013 as the year Wits students had their say, the year a number of burning issues were exposed and the year we became addicted to coffee. We bid you farewell, dear reader, and hope that next years’ Team Vuvu will not drop the spirit stick and keep the journalistic passion alive.